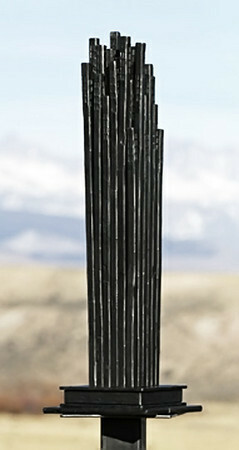 Around the center of the periodic table J.B. 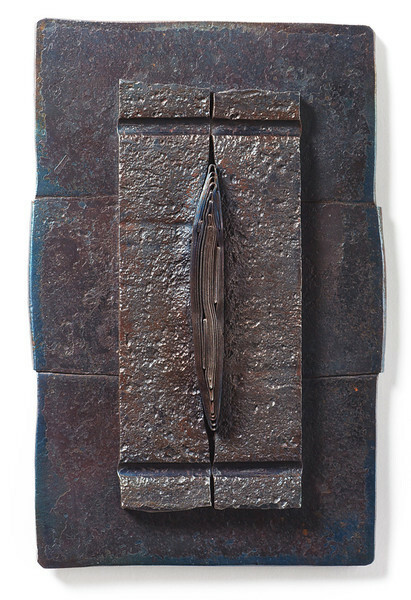 Bond finds the elements that inspire his heavy metal urges; the hard metallic substrates he uses extreme temperatures and immense force to manipulate in the creation of his stately and graceful artwork which appears both ancient yet timeless in form and finish. 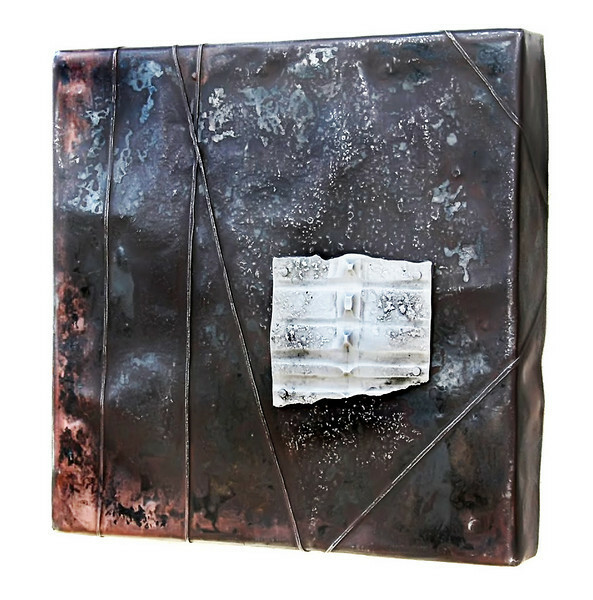 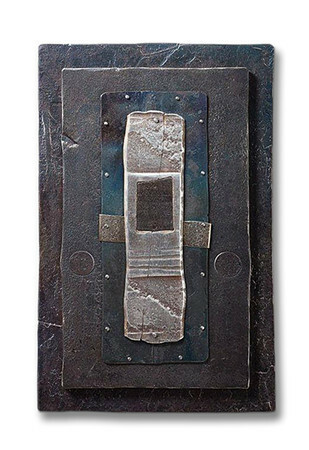 A contemporary fine art blacksmith/metallurgist, Bond uses recycled scraps of anything from bronze, copper, and aluminum to stainless, carbon, and mild steels, heats them to white-hot and power-hammers them into submission before plunging them into ice water to contrast hand-forged, organic-looking finishes with the geometrically precise and elegantly orthogonal designs of his wall hangings and floor sculptures. 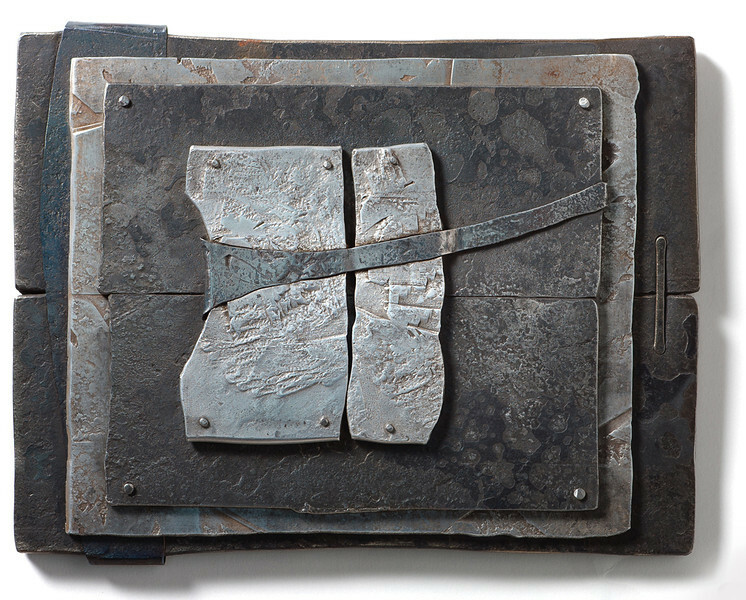 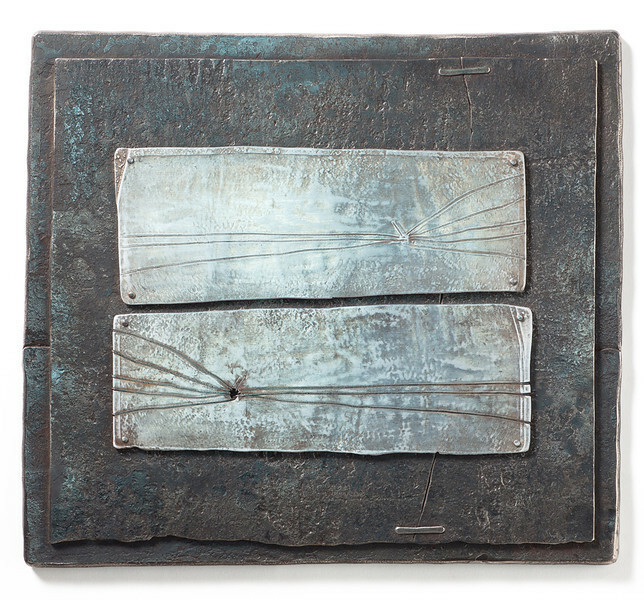 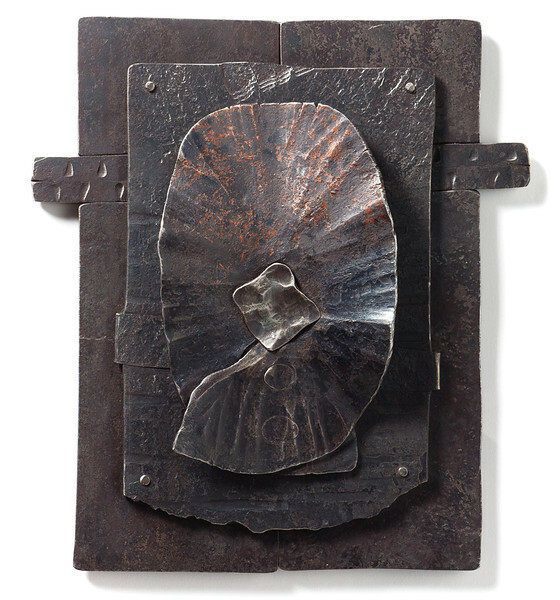 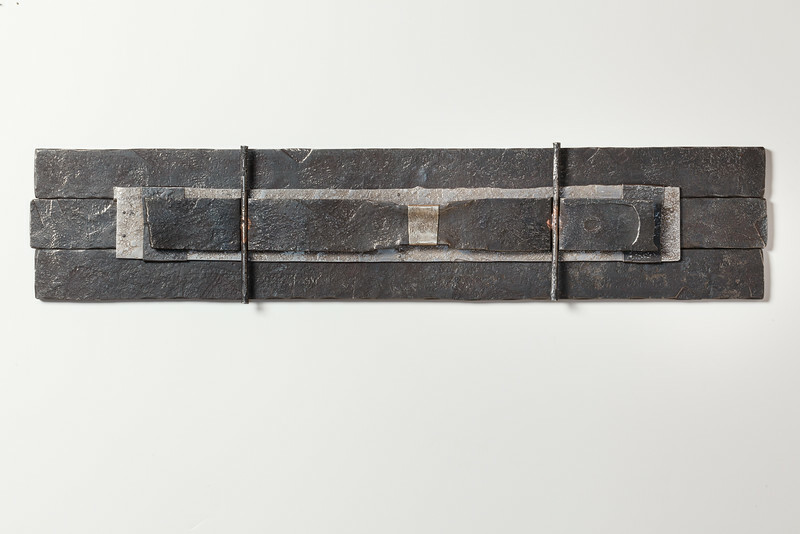 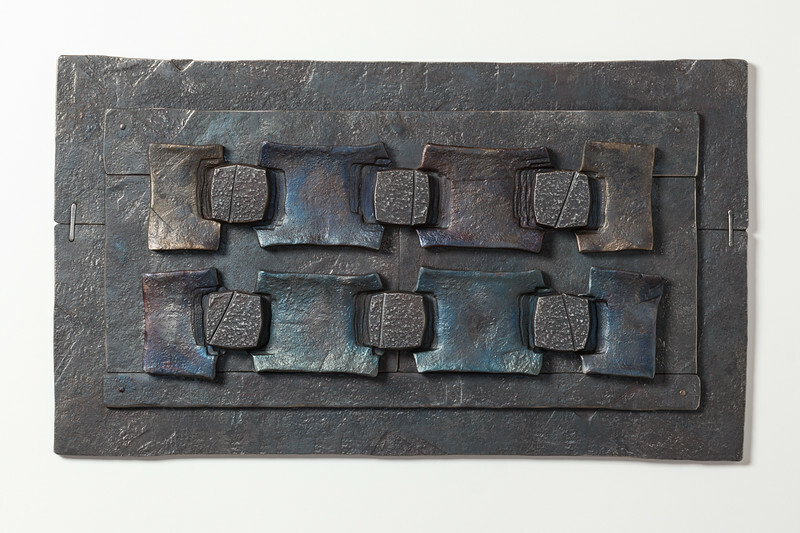 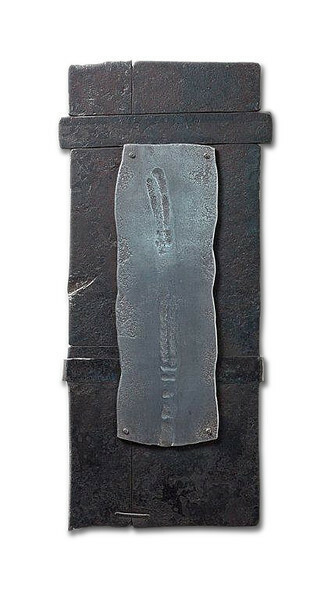 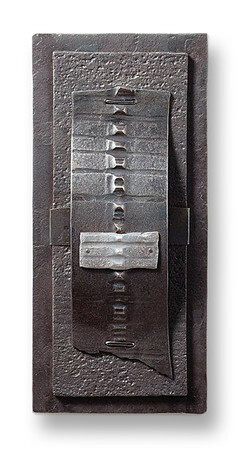 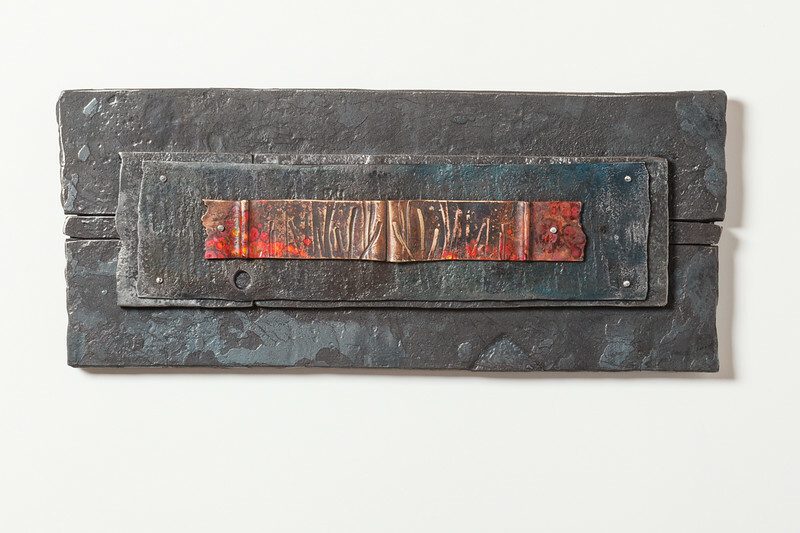 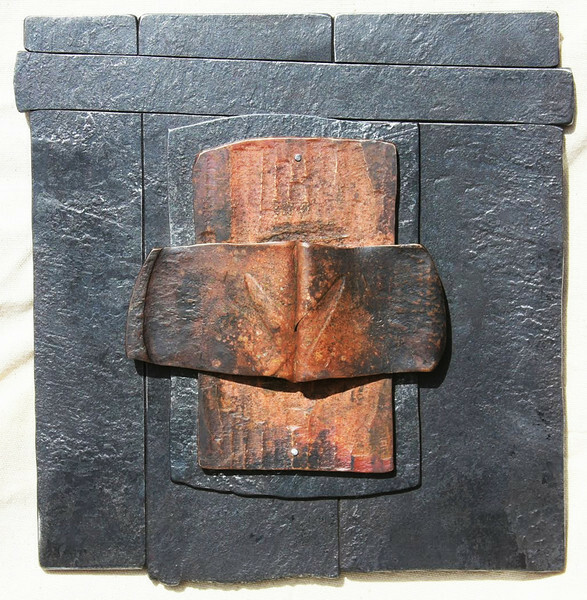 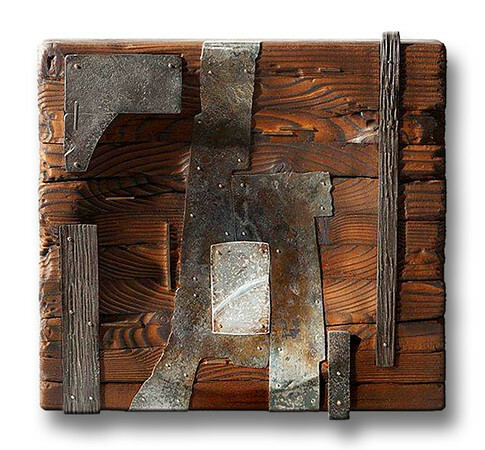 This earthy, hand forged, almost medieval quality that characterizes his work is what galvanizes J.B. 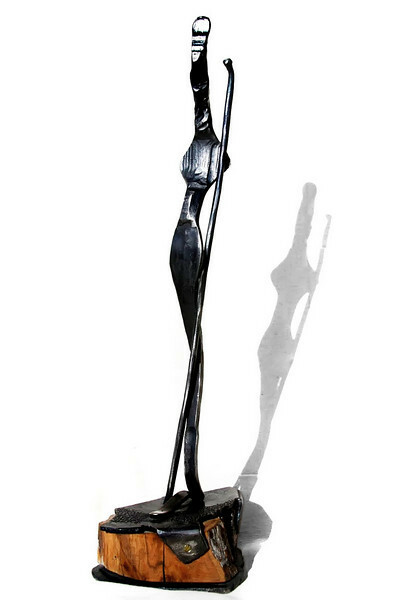 Bond's place in the Movement. 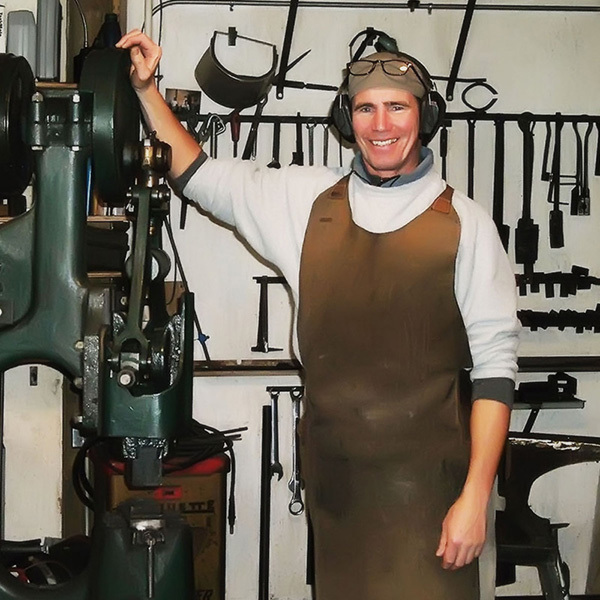 I consider myself a contemporary blacksmith using traditional and modern tools and techniques. 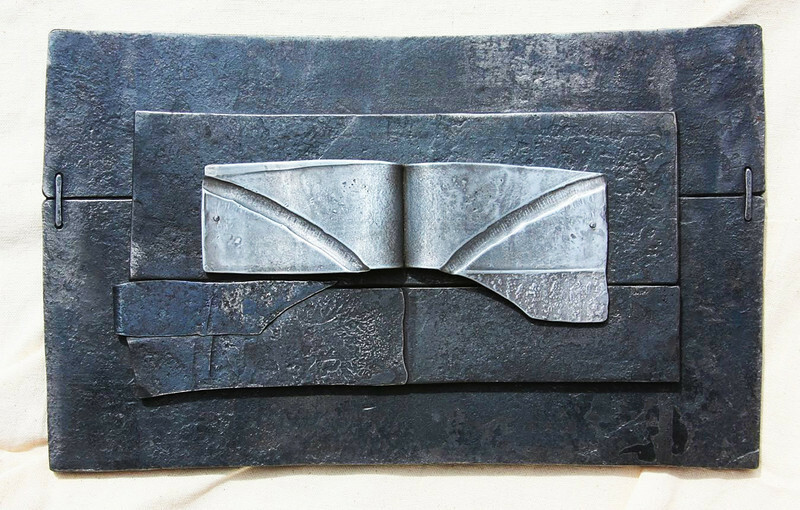 I work intuitively, allowing the work to progress and develop through out the forging and fabrication process. 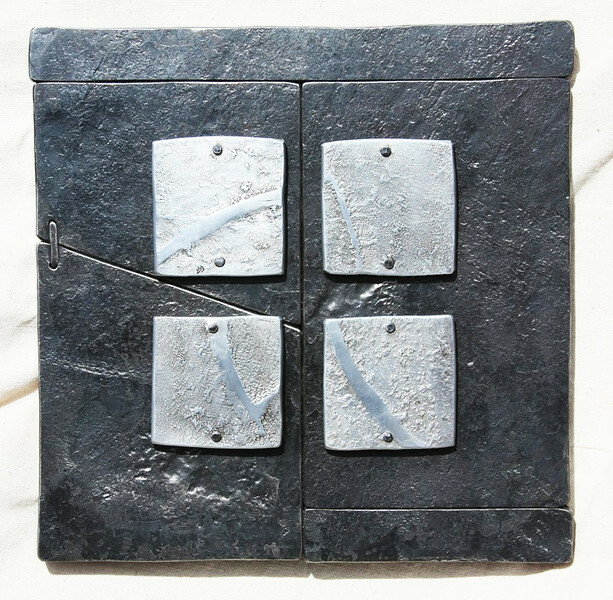 I recycle found and used materials for constructing these wall and floor sculptures. 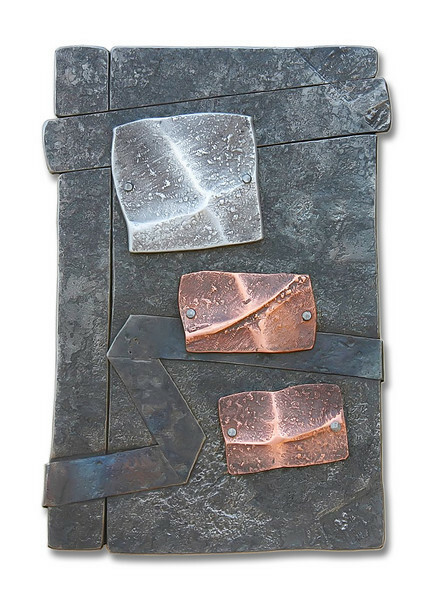 My choice of materials includes stainless, carbon, and mild steel,aluminum, bronze and copper. 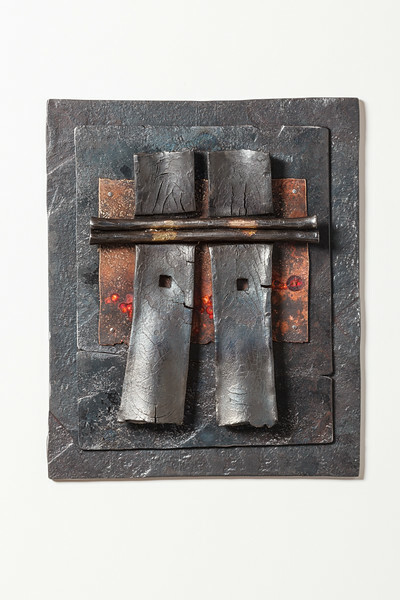 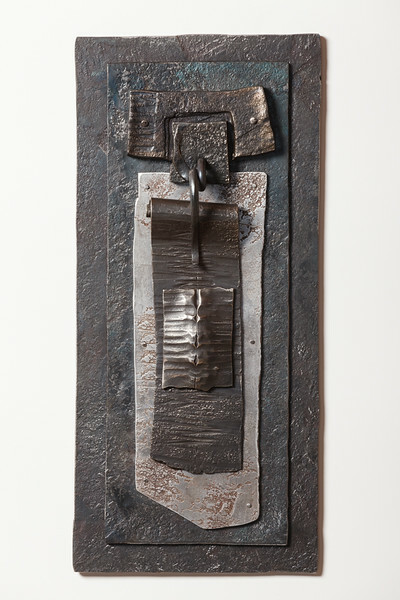 Hand forging and power hammer techniques are utilized to achieve the various shape and textural qualities within the work. 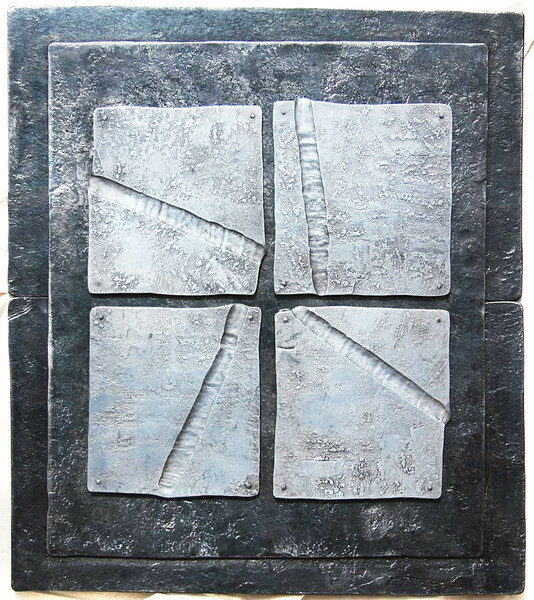 Surface coloring is attained through the forging process and various oxidizing heat treatments.